Is the Sun yellow or white? I’ve heard multiple sources say the sun is white, that it just looks yellow because the Earth’s atmosphere is scattering the blue light. 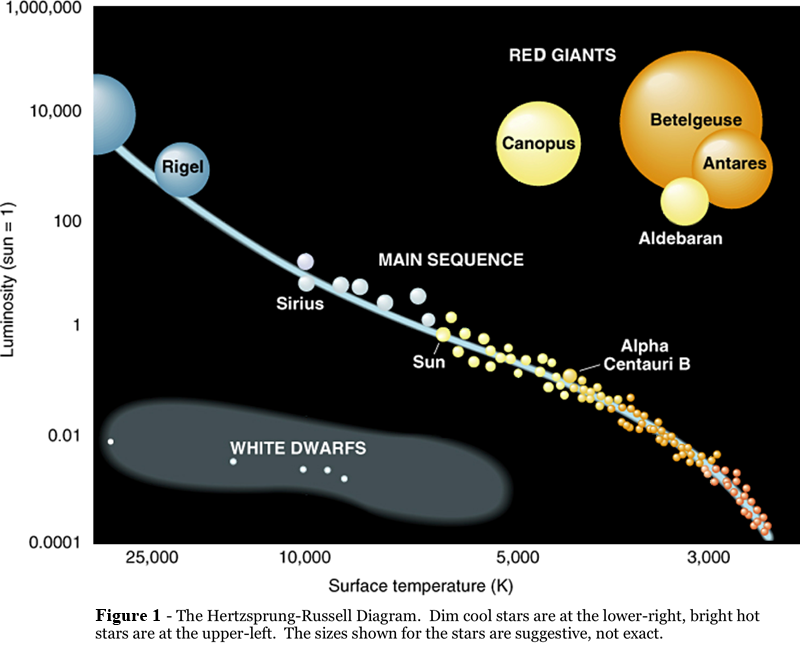 I’ve heard in other places that the sun is yellow because of its position in the Hertzsprung-Russell (H-R) Diagram. Which is it? It can’t be both yellow and white at the same time, or can it? The Sun emits a lot of energy in the visible range. In wavelength scale it is from 390 nm to 700 nm, and when you translate it to colors, you get all colors from violet to red, just as we see them in the rainbow. When you mix all those colors together you get white, and that is why white is the true color of the Sun. Check out photos of the Sun taken by astronauts (with no filters). The Sun appears white on them! But seen from the Earth, the Sun can have many colors: from whitish-yellowish when it is high above the horizon, to red when it sets or rises. But you are right - most people see it as yellow, because the shortest wavelengths (that we see as different shades of blue) are being scattered by the Earth’s atmosphere, coloring the sky blue. And when our eyes combine all those rainbow colors, except the blue ones, the Sun’s color our eyes see is yellowish. The lower toward horizon the Sun is, the more blue is scattered and the “average” Sun’s color shifts to red. The position of star on the H-R Diagram depends on star’s temperature and brightness. One of versions of H-R diagram is often called “color-magnitude diagram”, but here “color” (or “color index”) is a number representing a difference in stellar brightness in two chosen spectral ranges. In many H-R Diagrams stars are colored according to theirs temperatures (blue for hot stars, red for cool ones) to make them more informative and appealing. The Sun and stars with similar temperatures are yellow when observed from the Earth, and that is why they are often represented with this color and called “yellow dwarfs”. However, you can also find diagrams for which real stellar colors are kept and in those diagrams Sun will be a white point. In some H-R Diagrams colors are coded with the wavelength for which star emits the most of its energy. When we use this criterion, we should use green for the Sun. But why don’t we see green stars (from Earth or space)? It is because stars emit energy in a really wide range. Even if the peak falls in green, a lot of energy is emitted in all colors, from blue to red. And with our eyes, we always observe the mixture of those colors. If you add a bit of blue to green, you will get something our eyes interpret as a tint of blue, and when you add something from the red side - you get yellow. So, when you see a colorful H-R diagram, remember that choice of colors is up to its author and the palette used does not necessarily represent the real colors of stars. Please, remember to be careful when checking Sun’s color. Looking directly at the Sun, even with sunglasses, may hurt your eyes!